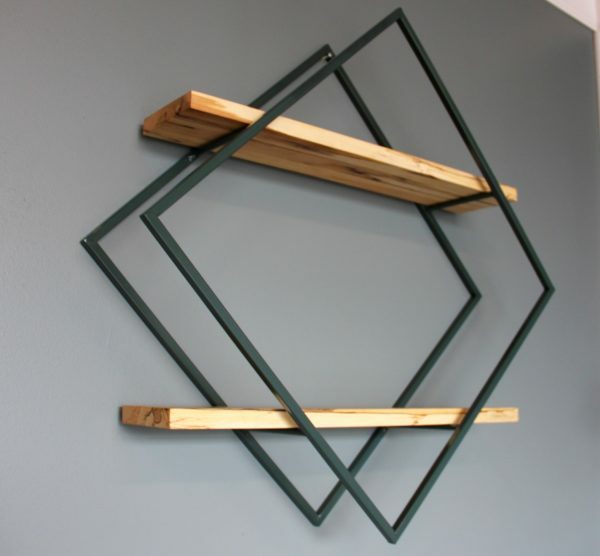 Handmade in our studio near Detroit, Michigan, our rustic, industrial style shelves have plenty of room for storage. Made from sturdy 1/2″ steel pipe and hand-finished wood, our Ladder shelves will mount securely to your wall and help you clean up the clutter. These shelves look great anywhere, but are especially suited for your Media Room- they can be customized fit around a Desk, Record Player, or TV. -Standard shelf dimensions: Approx. 60″ tall / 5 shelves, each 20″ wide & 7.25″ deep, with about 12″ between shelves. 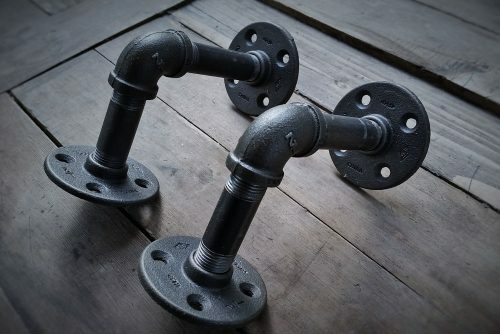 Includes drywall anchors and mounting screws. This item ships Assembly Required. Not a big deal, just threading some pipes together and using a screwdriver.